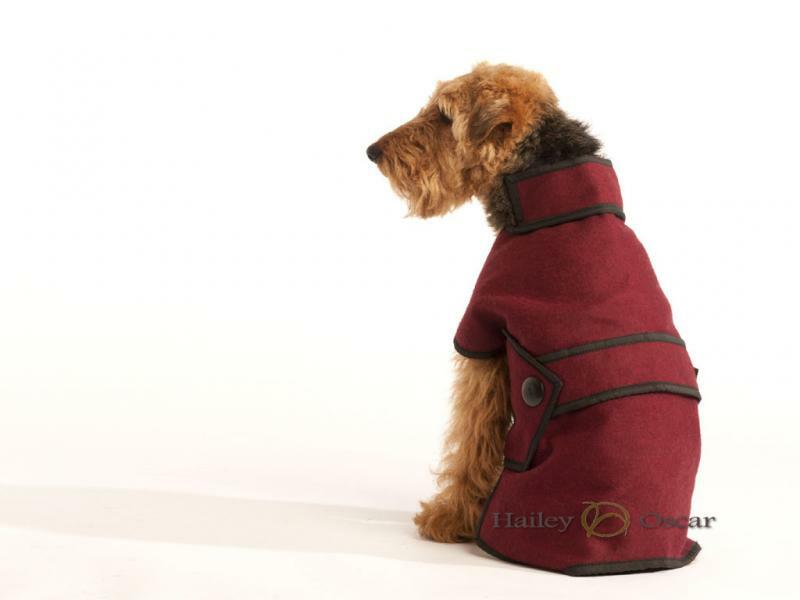 Blazer dog coat is available in four colours: maroon, khaki green, dark brown and grey. 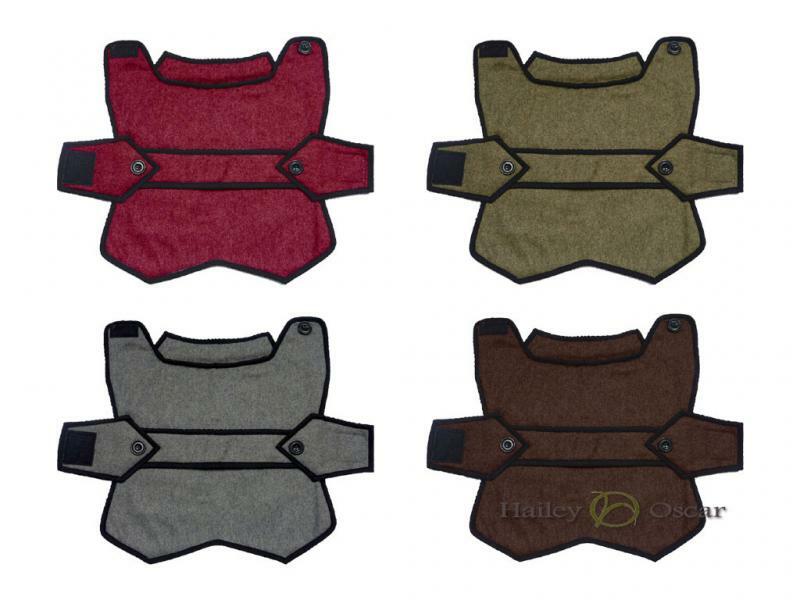 There are six sizes available to fit most breeds, measuring from the neck to the root of the tail. 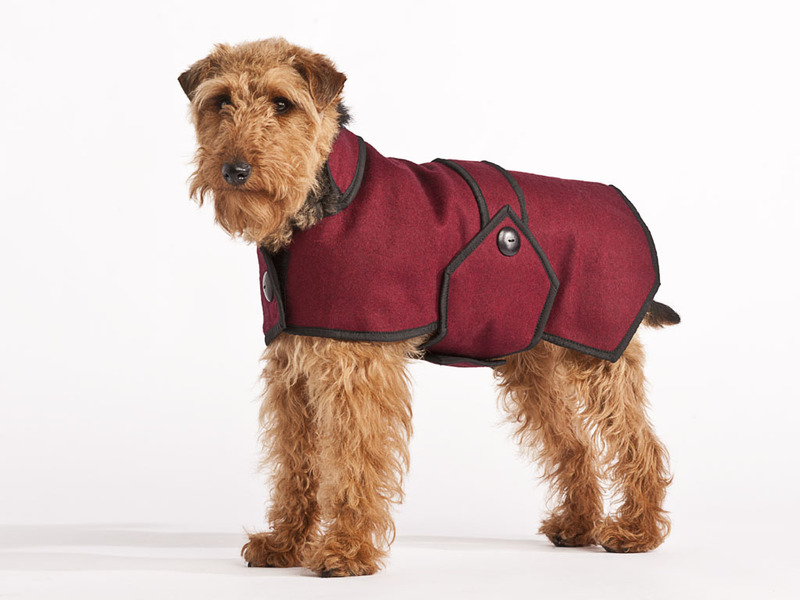 Click here for measuring guide.